Every woman dreams about being a star, but in order to become one or at least to have that feeling, you have to have the right tools. That is, luxury beauty items. And what is more important than a glowing, fresh looking complexion? Because there lies the secret of a star. 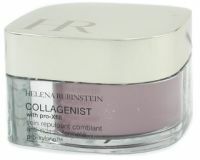 Commencing our journey in the realm of fabulous face creams, or treats I should say, I offer you Helena Rubinstein` s Collagenist With Pro Xfill – Replumping Filling Care, which increases collagen production for firmness and tissue cohesion. Its texture instantly melts into your skin for an immediate smoothing effect. It really hydrates and it reduces the appearance of fine lines and wrinkles. Dior Snow White Reveal Perfecting Emulsion by Christian Dior is a lightweight product that dissolves into skin rapidly. 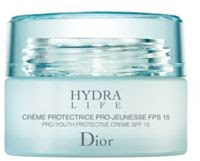 Its innovative Transparency Enhancing Complex boosts skin`s radiance and evenness, for an ageless, translucent appearance. Hydra Life Pro-Youth Protective Crème SPF 15, also by Christian Dior ensures instant nourishment, while promoting water circulation deep within the skin layer and it shields it from pollution. For a youthful looking complexion. 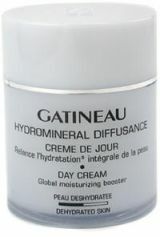 Gatineau has some amazing face products, among them Hydramineral Diffusance Day Cream, using an exclusive combination of active ingredients to boost the renewal of the skin and to create an optimal moisture balance. With a luxurious and smooth texture, it will hydrate and improve the aspect of your skin day after day. Moderactive Day Cream N/C Skin, also by Gatineau, is a daytime emulsion with a mattifying effect of the T-zone for oil-free moisture. It has a calming and relaxing effect on your skin and it leaves it clear and hydrated. Prada`s Reviving Bio-Firm Moisture SPF 15 Face with its lightweight gel texture contains a special ingredient called Bio - Firm Complex for a collagen-protective effect. It tightens the skin and it also plumps it up, while maintaining moisture for a perfectly hydrated complexion. Skin appears smoother and brighter.